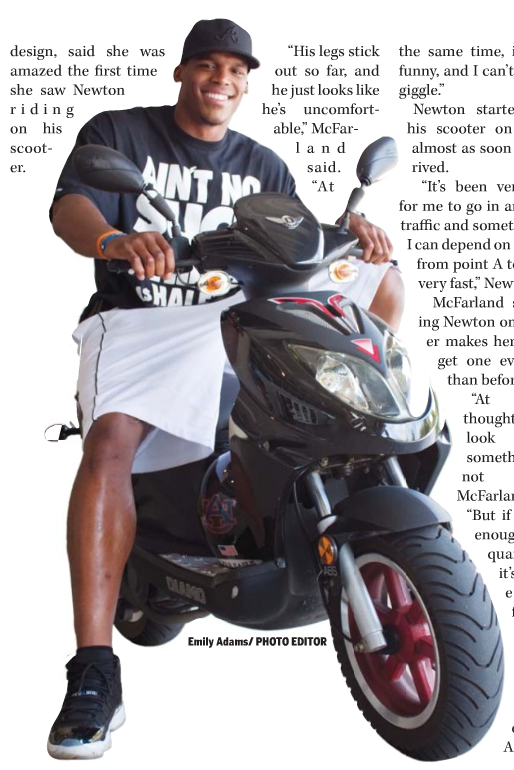 You can read the story on Scootin’ Newton… on Cam Scootin’… on… oh yes… Dual-Cam Newton… here (click on the print edition applet). You can hear him talk safety tips here. And you can order the shirt here. There are definitely thousands of folks riding them these days in Denver. Holy Crap! The lowly “Moped” has certainly come a long way!